The news from official quarters hasn’t been all that positive with the prospect of a power crisis following prolonged drought conditions that have already dealt a telling blow to Sri Lanka’s agriculture sector. Additionally, the tourism industry will have to contend with potential losses following the partial closure of the country’s main international airport for three months, which is undergoing a long overdue renovation of its runway. Nevertheless, corporates appear largely hopeful of better days ahead; it is not uncharacteristic for the new year to generate a sense of renewed optimism, which might help explain the mild turnaround in the latest LMD-Nielsen Business Confidence Index (BCI). THE INDEX Year 2017 has begun on a somewhat positive note with a marginal improvement in the BCI, which moves up by six basis points to 123 in January – this however, is lower than both a year ago (151) and the all-time average (130). THE ECONOMY Nearly four-in-10 respondents feel the state of the economy will improve in the next 12 months – this stood at 32 percent in the previous month’s survey. “The government’s first priority should be to stabilise the economy,” stresses another member of the biz community. BIZ PROSPECTS Almost half (versus 39% in the prior month) of the sample population are of the view that their sales volumes ‘will get better’ in the next 12 months. Only 20 percent of corporate executives hold a negative outlook vis-à-vis business prospects, while 31 percent expect prevailing conditions to persist. In terms of the short-term outlook, 44 percent of respondents predict a healthy first quarter for their businesses in 2017.
and small-scale companies it has a big impact…,” cautions a BCI survey respondent. SENSITIVITIES The business community points to a volatile currency and sense of uncertainty regarding the future of the economy as causes for concern. “There seems to be a lot of instability… and there does not seem to be a lot of change taking place,” another opines. WORKFORCE The latest survey results reveal that one-in-10 businesses have no plans to expand their workforce in the next six months. A notable majority (66%) of those surveyed say they hope to maintain their staff numbers in the next six months, while 24 percent plan to expand their cadre. PROJECTIONS Last month’s outcome was a damning verdict on the state of business in the island. But despite the lack of anything of any real significance taking place at the dawn of the new year, the index has nudged up marginally. 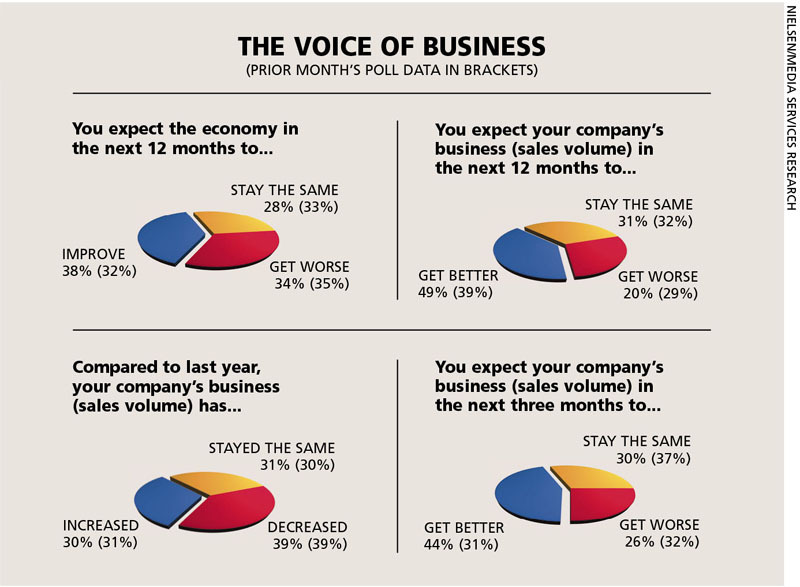 The exclusive monthly poll also suggests that there are mixed views on the state of business and the economy, which may be due to confusion over where the nation is heading. Signs of politicking lead to renewed perceptions of political instability and that surely cannot be healthy for business confidence. As for where the unique index now stands, could it be that the downtrend has bottomed out? Or perhaps this is merely the calm before the storm!